Martorell / Geneva, March 2016 – The most spacious and versatile vehicle in the SEAT line- up celebrates its anniversary with a special edition. The first-generation SEAT Alhambra was presented 20 years ago – and quickly developed to become a successful model for family, hobbies and leisure, as well as for business and fleet customers. Nowadays, the dynamic MPV for active people counts among its strengths maximum variability, state-of-the-art technologies and assistance systems, powerful and efficient drives and universal connectivity. Added to that – in true SEAT fashion – is exceptionally high quality and perfection combined with excellent value-for-money. 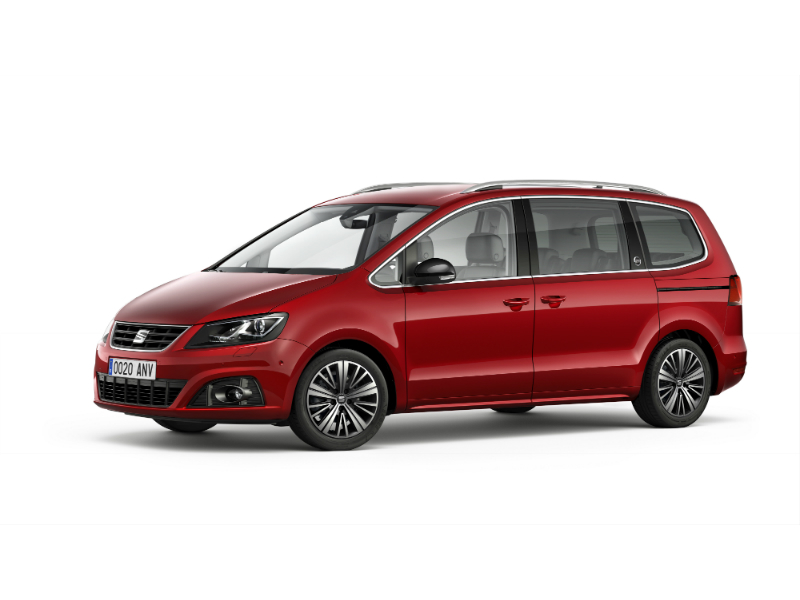 The new SEAT Alhambra 20th anniversary special edition unites unique design features with an extensive package of technologies. The edition is immediately recognisable by its 17- inch alloy wheels in high-gloss black, which are complemented perfectly by the xenon headlamps, the tinted side and rear windows and the large panorama glass sliding roof.The interior is defined by distinctive, dark Alcantara upholstery with stitching in light corn silk. Those seated in the first row of the Alhambra 20th anniversary edition benefit from sports seats with massage function. The technology package is equally extensive. Keyless entry opens the door to one of the most innovative vehicles in this segment – and even the tailgate can be operated hands- free by foot gesture. Like the tailgate, the two sliding doors also open and close electrically. The comprehensive package of safety and assistance systems includes the Lane Assistlane-departure warning system, Blind Spot Detection, traffic sign recognition and the light assistant. Likewise on board is the SEAT navigation system with the optional Full Link smartphone connection for perfect connectivity.